How Many MotoRex Nissan Skyline GT-R? Mr. Kamil Nieznany asked the question about how many MotoRex R33 existed, here is the most complete answer we can come up with. For the first time, we actually went though our lists of chassis numbers and counted how many Nissan Skylines, and Skyline GT-R's were imported and federalized by MotoRex. These two lists, while mostly complete are missing a few cars- probably around 20. We have 102 chassis numbers on our two lists. The most popular car during MotoRex's time was the R33 GT-R. 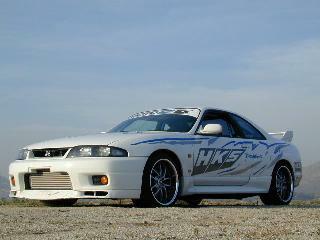 The R33's were produced from 1995 to 1998, with an early, middle, and late configuration. We show 57 R33, all models, with the majority being GT-R. The actual number is probably around 65-70 including a couple cars from G&K, JK, and US Specs. The next most popular car imported by MotoRex under VCP-17 was the R32 GT-R. The 1989-1991 R32 GT-R are now over 25 years old, and legal to be imported to the US, exempt from FMVSS requirements. The R32 GT-R were produced 1989-1994. MotoRex imported around 34 all model R32 according to our chassis number lists. Total federalized for the USA, was probably near 40 on the R32. 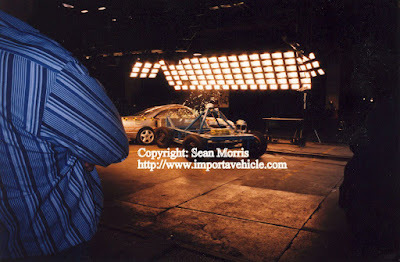 That leaves the R34 Nissan Skyline GTR, which was produced 1999 to 2002. There were 11 R34 GT-R federalized by MotoRex according to our lists. Although we know of at least one more car not on this list with a bond release. Total of about 102, although we have heard the actual number was about 120 cars. I have the chassis numbers, but it isn't public information. How Did You Get an R34 Nissan Skyline GT-R?